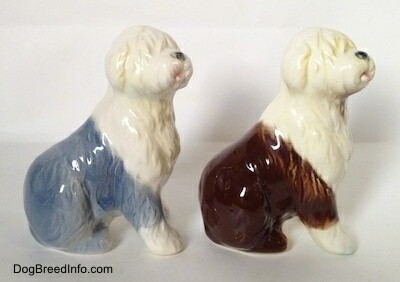 Pictured are two vintage porcelain Goebel Old English Sheepdogs made in West Germany. They were made between 1979 and 1990. 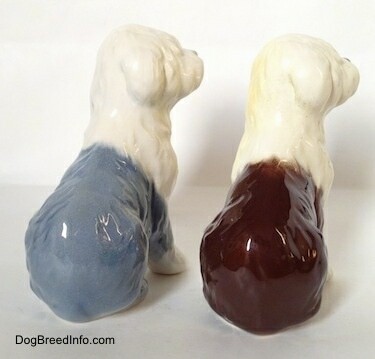 One of the dogs is gray-grizzle and white and the other is brown and white. 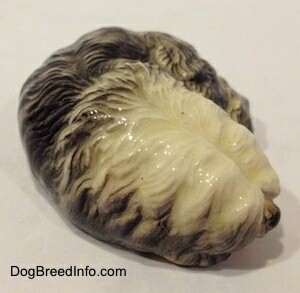 Their eyes are covered in thick fur, the noses are black and their pink tongues are sticking out. On the bottom of the figurines is the Goebel trademark 6 (TMK-6) logo of the name Goebel with W. Germany below it. 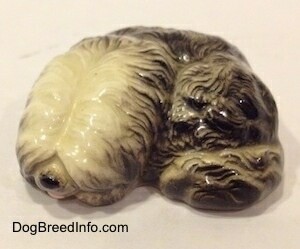 Engraved into the gray-grizzle and white dog is the numbers 30513 and the number 61. 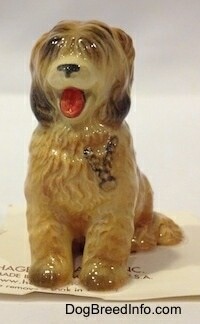 Engraved into the brown and white dog is the numbers 30513 10. 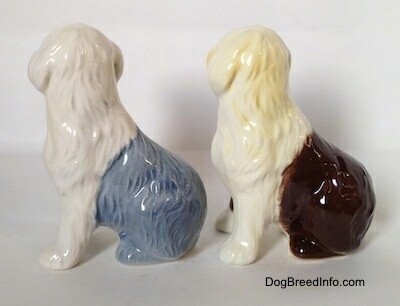 They stand 4 inches tall, 3 inches long and are 2 inches wide. 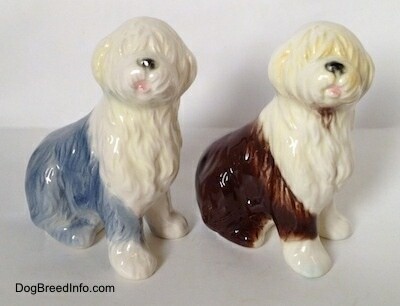 Two vintage porcelain Goebel Old English Sheepdogs made in West Germany—image showing the bottom view, engraved into the gray-grizzle and white dog is the numbers 30513 and the number 61. 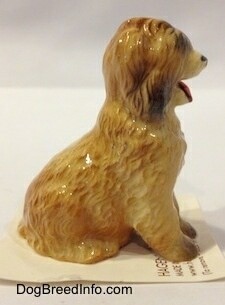 Engraved into the brown and white dog is the numbers 30513 10. 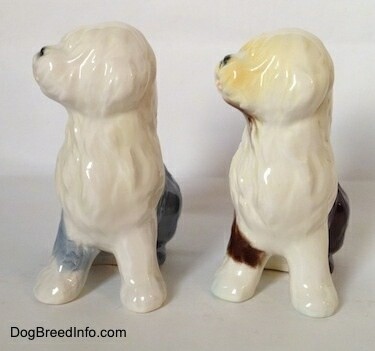 They stand 4 inches tall, 3 inches long and are 2 inches wide. 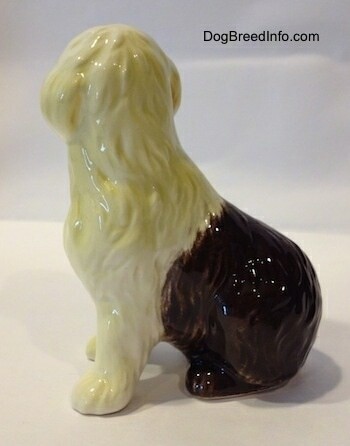 Pictured is a vintage porcelain Goebel Old English Sheepdog made in West Germany. 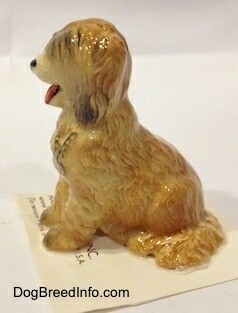 This is a beautiful figurine that was made between 1972 and 1978. 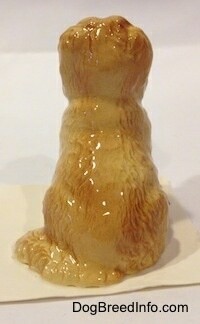 It stands 4 inches tall, 3 inches long and 2 inches wide. Nice glossy glaze with minor crazing. Very good condition. 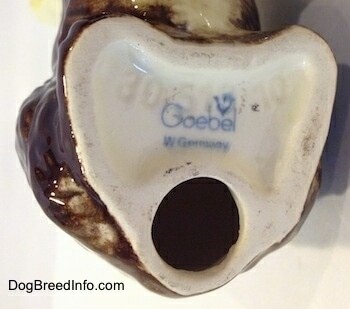 It has the Goebel stamp on the bottom with the bee inside the V above the 'bel' in Goebel. Under that it reads W. Germany. It is engraved with 30513 10. 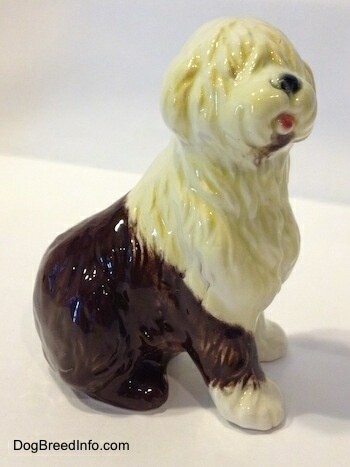 1970s Vintage porcelain Goebel Old English Sheepdog made in West Germany—bottom view showing the Goebel stamp with the bee inside the V above the letters 'bel' in Goebel. Written below that are the words W. Germany. This indicates that the piece was made between 1972 and 1978 (TMK-5). It is engraved with 30513 10.